Cardinal Sean O’Malley sent a letter to parishioners at St. Frances Xavier Cabrini Church in Scituate asking them to accept a Vatican court’s ruling that the Boston Archdiocese may sell or re-use the building. Cardinal Sean P. O’Malley has asked the last Massachusetts congregation holding a vigil in an officially closed Catholic church to accept a Vatican court’s ruling that the Boston Archdiocese may sell or re-use the building, effectively ending the occupation. In a letter dated July 29, O’Malley asked parishioners at St. Frances Xavier Cabrini Church in Scituate to comply with the June denial by the Apostolic Signatura, the church’s highest court, of their final appeal seeking to block the sale, rental, or repurposing of the building. But a leader of the defiant congregants who formed the nonprofit Friends of St. Frances Xavier Cabrini said Friday that they remained steadfast, and he invited the cardinal to come to Scituate, or any place of his choosing, to sit down with them and find a solution. 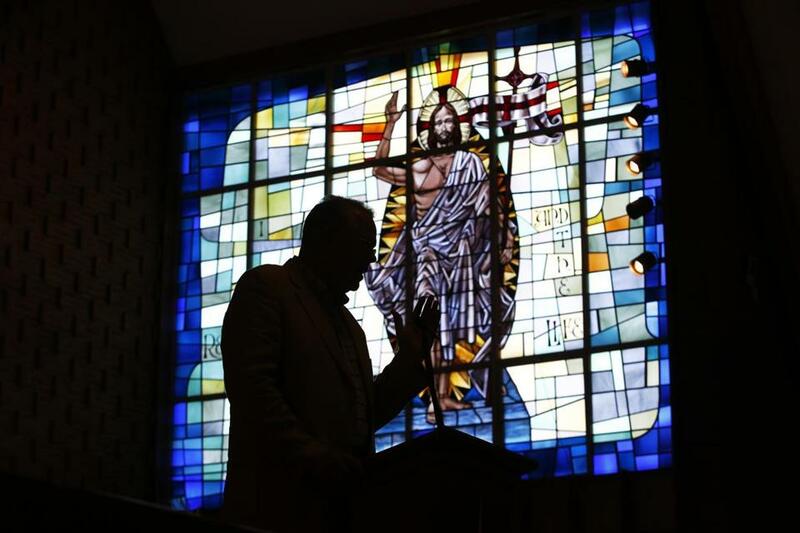 “Our whole philosophy’s been the same from the very beginning: It’s either open us back up as a fully functioning parish or sell us the church and set us free,” said Jon Rogers, 55. Terrence C. Donilon, spokesman for the archdiocese, said neither reopening the church nor selling the building to its congregation is possible. The archdiocese declared the church closed nearly a decade ago, but congregants kept its doors open through a round-the-clock vigil, with volunteers leading lay services. Rogers said members are prepared to continue operating St. Frances X. Cabrini as an independent Catholic church outside the archdiocese and the church hierarchy rather than give up the parish they love. He said the Vatican has stacked the deck in favor of O’Malley and against ordinary parishioners, but the congregation believes in a more democratic process. Rogers said parishioners would never leave willingly and would have to be removed. “We didn’t spend 10 years of our lives protecting that church 24 hours a day, seven days a week because we were going to give it up easily,” he said. Donilon, the archdiocese spokesman, questioned Rogers’s motive for refusing to leave. Donilon said he hopes that congregants will decide to take their faith and dedication to one of the archdiocese’s other 288 parishes, where they will be welcomed with open arms. “The cardinal’s letter is a sincere pastoral message that we recognize the heartache that they’ve been through, that we acknowledge the pain that they’ve experienced — but it’s over,” he said. Donilon said the archdiocese had no specific plans for the church property. He said there is no timetable for demanding that congregants end their vigil, but the archdiocese will have to act if they refuse to leave.